How the sportswear brand plans to get quicker. adidas is hoping to emulate the "fast fashion" model of stores like H&M and Zara in order to up its speed in bringing products to market. This goal of being faster to react to trends and sales data has been frequently mentioned by the brand in its recent touting of upcoming plans. Reuters reports that adidas plans to achieve the goal in part by moving production centers closer to the areas that they're servicing. This is more easily achieved for apparel production since garment factories are all over the world. adidas says that the moving of footwear production is less likely. 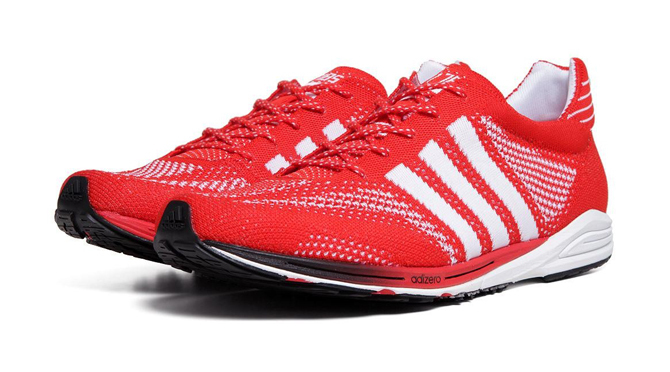 "The breakthrough will probably happen in finishing the product close to the consumer," said Glenn Bennet, head of global operations for adidas. "Not moving the whole of the operation." adidas has already tested this approach with the adidas NEO line, which can deliver new styles to stores within 45 days. For example, adidas saw that the NEO Groove sneaker was selling well, and was able to place more pairs in stores in a matter of weeks. This sort of fast fashion product sells three times faster than typical seasonal sportswear products, according to Bennet. adidas plans to have half of its ranges produced on this fast fashion model by 2020.